5.38" closed. 4" satin finish CPM S35VN stainless tanto blade. 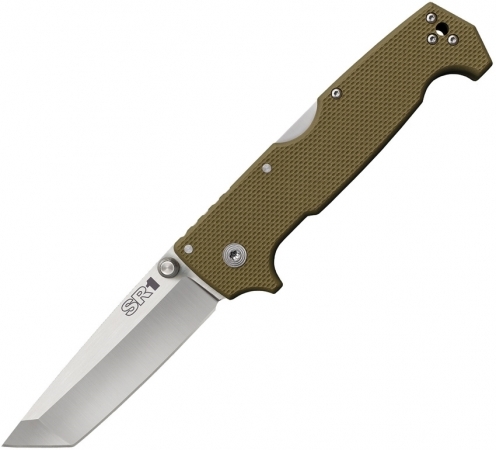 Tan G10 handle. Extended tang. Thumb stud. Pocket clip. Lanyard hole. Boxed.